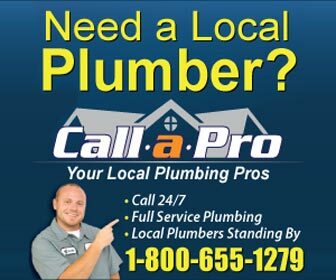 Find plumbers in Jamestown, RI for all of your plumbing project and plumbing emergency needs. From water heater repair and drain cleaning in Jamestown to emergency sewer repair and water leak detection - find the right, licensed Jamestown plumber for the job. Jamestown, Rhode Island is on an island in the lower part of Naragansett Bay. The population is under 6,000 and the land area is over 35 square miles. It is not densely populated and one reason is that the house prices are a higher than the average price in the rest of the state. Years ago there was a ferry running between Newport and Jamestown. In fact there was ferry service as long ago as 1675. I remember the ferry well since I was stationed at the Newport Naval Base and had to take the ferry to get to Jamestown and then to the mainland over the Jamestown Bridge and then to my home in New York. My thumb used to get quite a workout. Today, the old Jamestown Bridge has been replaced. The new Jamestown Bridge is called the Jamestown-Verrazano Bridge. It is only fitting since Verrazano first sailed into Naragansett Bay. The ferry to Newport is gone, replaced by the Newport Bridge. Rhode Island is getting into the twenty-first century since this year (2009) saw the acceptance of Easy Pass to pay for tolls.